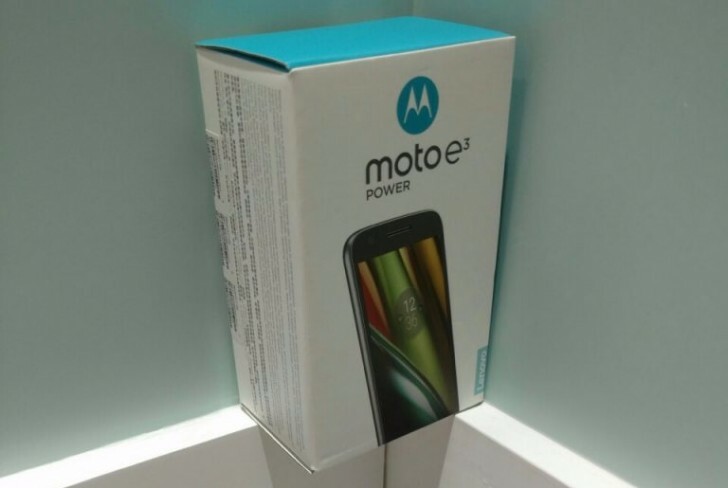 If you're underwhelmed by the Moto E3, then perhaps you'll like the Moto E3 Power. This new device that we saw getting Wi-Fi certified back in June is now available to buy in Hong Kong, even though it hasn't been officially announced yet. The E3 Power is identical to the vanilla E3 in some respects, but pretty different in others. The most striking change is that the Power boasts a 3,500 mAh battery, compared to its lesser sibling's 2,800 mAh cell. The E3 Power has a 5-inch 720p IPS touchscreen, an 8 MP rear camera with LED flash, a 5 MP selfie cam, the MediaTek MT6735P chipset (with a 1 GHz quad-core Cortex-A53 CPU), 2GB of RAM, 16GB of expandable storage, 4G LTE, dual-SIM functionality, a 1W rear speaker, and it runs Android 6.0.1 Marshmallow. So, compared to the E3 we have more RAM and more internal storage, and obviously that huge battery that makes this phone worthy of that Power moniker. The E3 Power is going for HKD 1,098, which is about $141 or €125 at the current exchange rates. It's unclear where else the handset might appear, since we have absolutely no official details about it yet.